Alessandro D’Ulivo (born in Pescia, Tuscany, 1954) graduated in Chemistry at University and Pisa (1978), and is a Senior Researcher of Italian National Research Council (since 1981). He is presently developing his research activity at the Institute of Chemistry of Organometallic Compounds of CNR, research unit of Pisa, of which he was head from 2010 to 2013. He is associate professor of at the Department of Chemistry and Industrial Chemistry, University of Pisa since 1991 and Scuola Normale Superiore of Pisa (2010-2013) teaching Analytical Chemistry and supervising graduate and PhD students for thesis. Awarded of the national scientific qualification of Full Professor in Analytical Chemistry (2013). He is IUPAC Fellow from 2011and member of the Editorial Advisory Board of Spectrochimica Acta, Part B, Atomic Spectroscopy from 2006. He organized the Colloquium Spectroscopicum Internationale XL, held in Pisa in 2017. His research interests focus on analytical atomic and mass spectrometry for trace and ultratrace analysis, fundamentals and applications of chemical and photochemical vapor generation technique, mechanistic aspects of the generation of volatile hydrides by aqueous, boranes, atomization mechanisms and interferences in hydride atomizers, hyphenated techniques using chromatography interfaced with atomic or mass spectrometry. International scientific cooperation include National Research Council Canada (INMS, Ottawa), Academy of Science of the Czech Republic (Inst. Analytical Chemistry), Laurentian University (Dept. Chemistry, Sudbury), Max Planck Institute for Chemistry (Dept. Biogeochemistry, Mainz, D), Federal University of Santa Catharina, (Florianopolis,Brazil), Departamento de Química, Universidade Federal Federal University of São Carlos (Brazil), Xiamen University (China). He authored and co-authored 113 scientific papers on international ISI journals, with 3310 citations and H-index=31. Norbert Jakubowski graduated as “Diplom-Physiker” from the University in Essen/Duisburg. In his diploma research work he focused on the development of plasma based ion sources. He obtained his doctorate (Dr. rer. nat.) in 1991 from the University of Stuttgart/Hohenheim for his thesis: “Analysis of Technical Layers by Use of Glow Discharge Mass Spectromtry (GD-MS)”. In 1981 he joined the Institute for Analytical Sciences (ISAS) in Dortmund to work as a research scientist in the laboratory of inorganic mass spectrometry, where he developed novel instrumentation for plasma ion source based mass spectrometry. 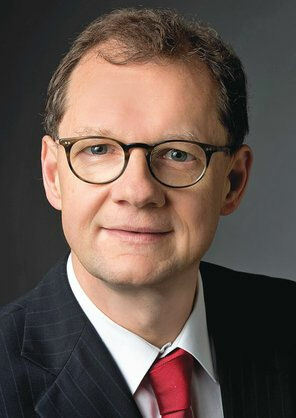 Later in 1999, he became the head of the division 1.1 (Inorganic Trace Analysis) of the “Bundesanstalt für Materialforschung und –prüfung (BAM)” in Berlin. Major research field are the development of ion sources based on plasmas combined with mass spectrometry for solving applications in analytical chemistry. 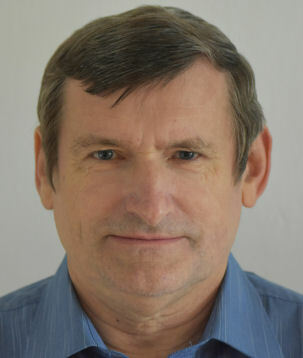 His main activities are mainly focused on analytical chemistry with special interest in development of instruments, methods and problem-orientated procedures based on the use of plasma sources (inductively coupled plasma, glow discharge) for elemental mass spectrometry of solid, liquid and biological/medical samples. He spent research stays in the laboratory of Joe Caruso (University of Cincinnati), Gary Hieftje (University of Bloomington) and Ken Shimizu (Keio University, Japan). Speciation of Se, As, Gd, Cd, Pt in environmental and biological samples. Characterization of metallic nanoparticles (NP). Metallomics in particular to study the interaction of toxic metals and metallic nanoparticles with single biological cells. Bio-imaging and development of a quantitative elemental microscope. He published more than 206 scientific papers and 10 book chapters and edited one book on inorganic mass spectromtry and his articles are cited about 5,000 times. He is a member of the Editorial Advisory Boards of the journals „The Analyst“ and „Metallomics“. He received the following awards: the „Alan Date Memorial Award, University of Surrey, UK (1991); the „Zimmer International Scholar” given by the University of Cincinnati, USA“; the “Waters Symposium Prize: Pioneers in ICP-MS”, Pittcon 2006, Orlando, USA (2006) and the most prestigeous „European Award for Plasma Spectrochemistry”, Krakow, Poland (2013). Josef Komárek was born 1946 in Brno. He graduated in chemistry in 1969 at the Faculty of Science of the J. E. Purkyně University (now Masaryk University), where he also earned a degree of Doctor of Natural Sciences (RNDr.) in 1970. In 1977 he received the Candidate of Sciences degree (CSc.) and in 1998 the Doctor of science degree (DrSc.) from the University of Ljubljana in Slovenia. In 1992 he habilitated at the Faculty of Science of the Masaryk University and in 2004 he was appointed professor of Analytical Chemistry. His first employment in 1969 was at the Department of Geology and Pedology, Faculty of Forestry, University of Agriculture in Brno (now Mendel University), in 1971 he moved to the Veterinary Research Institute in Brno and then in the same year to the Department of Analytical Chemistry, UJEP in Brno. On this position (now the Department of Chemistry of the Masaryk University) he has operated to this day. Atomic Absorption Spectrometry has been his major research field since his student´s years. His research interests focus on the development of methods for trace analysis of environmental, clinical, geological and metallurgical samples, role of organic reagents in atomic absorption spectrometry, releasing agents for flame atomization, various types of matrix modifiers for electrothermal atomization, cold-vapour technique, Zeeman background correction, flow injection analysis (FIA), FIA-AAS after preconcentration of metal ions on chelating sorbents, by solvent extraction and by dialysis, and AAS in connection with electrochemical deposition of metals. In addition to the AAS, he devotes to the atomic fluorescence spectrometry and the speciation analysis, especially of mercury. His teaching activity has consisted of lectures Basic analytical chemistry, Trace analysis, Environmental analytical chemistry - inorganic pollutants, Atomic absorption spectrometry and Speciation analysis, and of laboratory courses Environmental analytical chemistry - inorganic pollutants and Materials analysis. The results of his work have been published in more than 100 scientific articles, of which over 60 articles have been published in impacted domestic and foreign journals. Josef Komárek co-authored one monograph, seven textbooks and about hundred lectures or posters at domestic and foreign seminars and conferences. Josef Komárek actively participated in organizing a number of seminars and courses in the field of AAS. 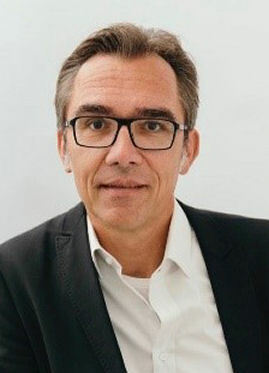 Since 2005, he has been a member of the Main committee of the Ioannes Marcus Marci Spectroscopic Society and the chairman of its bulletin editorial board. Recently he also organized a series of "Speciation analysis" workshops. Margaretha de Loos-Vollebregt obtained her PhD in 1980 from Delft University of Technology, Netherlands, Department of Analytical Chemistry. The title of the thesis was ‘Zeeman atomic absorption spectroscopy’ with supervisor Prof. Dr. Leo de Galan. From 1968 until 2014 she worked as analytical chemist at the Delft University of Technology in various positions (including associate professor). Since 2009 she is guest professor in Atomic Spectroscopy at Ghent University, Belgium. She has published about 80 papers in international journals (H index 24) and several book chapters. She presented lectures at numerous international conferences and was member of scientific committees for e.g. CSI, ESAS, FACSS and RioConferences. 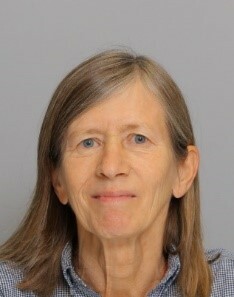 From 1992 until 1997 she was member of the editorial advisory board of Spectrochimica Acta Part B: Atomic Spectroscopy. From 1997 until 2001 she was reviews editor for Spectrochimica Acta Part B: Atomic Spectroscopy and since 2001 she is editor of Spectrochimica Acta Part B: Atomic Spectroscopy. From 1991 until 2016 she was a member of the advisory board of Journal of Analytical Atomic Spectrometry. Since 2006 she is member of the editorial advisory board of Analytica Chimica Acta. She is member of the Royal Dutch Chemical Society (KNCV) and member of the Analytical Chemistry division (KNCV) where she is leading the Dutch working group for atomic spectroscopy. Her scientific interests are in atomic absorption, atomic emission and inorganic mass spectrometry, including instrumental developments, signal processing and sample introduction. Marcel Miglierini graduated in 1981 from the Slovak University of Technology in Bratislava where he works since then at the Institute of Nuclear and Physical Engineering. In 1995, he has received the Doctor of Science degree and in 1997 was appointed as a full professor in physics of condensed matter at the Slovak University of Technology in Bratislava. In 1990, he was granted the Monbuscho fellowship and has performed an 18-month research at Osaka University in Japan. In 1995, he has obtained scholarship from the Région du Pays de la Loire and accomplished a 11-month stay at Université du Maine, Le Mans, France. Further long-term stays abroad comprise a 10-month research in 1998-99 at the Universität Wien, Austria as a visiting scientist, 2-month lecture stay in 1992 in Japan and a 2-month stay in 2001 at Georg August Universität Göttingen in Germany as a DAAD fellow. Major fields of scientific interests include magnetic and structural properties of disordered materials prepared by rapid quenching and/or mechanical grinding (amorphous metallic glasses, quasicrystals, nanocrystals, powder steels) and their hyperfine interactions, structural positions of iron in archaeological, biological, chemical, geological, mineralogical, and metallurgical systems. They are studied predominantly by nuclear spectroscopy methods (Mössbauer, NMR, electron-positron annihilation, gamma spectroscopy), atomic and magnetic field microscopy and by special analytical techniques based on synchrotron radiation. He has published 230+ original papers (175+ in international scientific journals) and one chapter in a book. He has acted as editor of 8 scientific proceedings that were published as books by Kluwer and American Institute of Physics. The number of citations indexed in WOS is 1 200+ with h = 16. He has delivered more than 30 invited lectures at universities abroad and had 27 invited lectures at international conferences. He was declared by the Mössbauer Effect Data Center, Asheville, USA as one of the four most productive authors in the field of Mössbauer spectrometry worldwide during the years 1990-2000. In 2011, he was awarded the title Professor of the Year at the Slovak University of Technology in Bratislava and in 2015 he was declared at the same university as the Scientist of the Year. Since 1994, he organizes the series of international conferences entitled Mössbauer Spectrometry in Materials Science which are regularly held every two years. In 1998 and 2002, he was one of the directors of NATO Advanced Research Workshops. He was a member of organizing and program committees of 20+ international conferences. During 2004-2009, he was a chairman of Knowledge Management Committee of the ENEN Association (European Nuclear Education Network). He has organized and chaired the Winter School of Synchrotron Radiation 2011, 2013, 2014 with international participation. He represents Slovakia in the International Board on the Application of the Mössbauer Effect (since 1998) and in the consortium CENTRALSYNC which ensures access to the synchrotron source in Grenoble for researchers from the Czech Republic, Hungary, and Slovakia (since 2008). During 2010-2011, 2013-2014, and 2015-2016 he was a chairman of the Steering Committee of this consortium. Since 2003, he is a president of the Slovak Spectroscopic Society. Jürgen Popp studied chemistry at the universities of Erlangen and Würzburg. After his PhD in Chemistry he joined Yale University for postdoctoral work. He subsequently returned to Würzburg University where he finished his habilitation in 2002. Since 2002 he holds a chair for Physical Chemistry at the Friedrich-Schiller University Jena, Germany. Since 2006 he is also the scientific director of the Leibniz Institute of Photonic Technology, Jena, Germany. 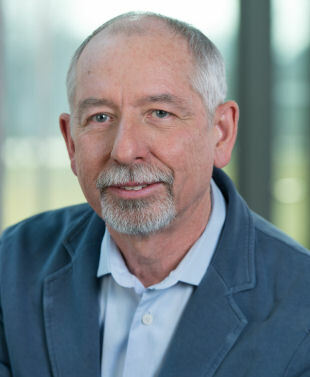 Jürgen Popp is a leading partner in various national and international research projects in cooperation with academic, clinical and industrial partners (e.g. Coordinator of “PHOTONICS4LIFE” a European Network of Excellence for Biophotonics, Initiator and CEO of the research campus “InfectoGnostics” a public-private partnership researching new paths in infection diagnosis and infection research.). In doing so, he and his group raised more than 50 Million Euro third party funding. Since 2011, he gave more than 160 invited talks on national and international conferences (among them more than 15 keynote lectures). Jürgen Popp has been organizer and chairman of several large national and international conferences (e.g. ICOB 2012, ICORS 2014, ECONOS 2016 and many more) and of several interdisciplinary and translatory workshops and symposia. In this context, Jürgen Popp shows great national, international and political commitment for interdisciplinary and translation (e.g. as member of the program committee „Optical Technology“ of the German Federal Ministry of Education and Research (BMBF) or as Member Board of Stakeholders European Technology Platform “Photonics21”). 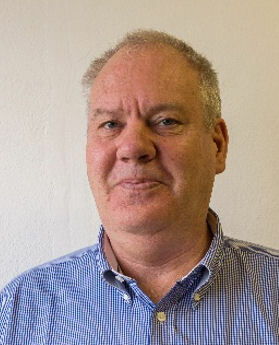 Jürgen Popp is Founding Editor and Editor-in-Chief of the Journal of Biophotonics. In 2012, he received an honorary doctoral degree from Babeş-Bolyai University in Cluj-Napoca, Romania. Professor Jürgen Popp is the recipient of the 2013 Robert Kellner Lecture Award and the prestigious 2016 Pittsburgh Spectroscopy Award. In 2016 he was elected to the American Institute for Medical and Biological Engineering (AIMBE) College of Fellows. Renato Zenobi is Professor of Analytical Chemistry at the Organic Chemistry Laboratory of the Swiss Federal Institute of Technology (ETH) Zurich. Born in Zurich in 1961, he received a M.S. degree from the ETH Zurich in 1986, and a Ph.D. at Stanford University in the USA in 1990. This was followed by two postdoctoral appointments at the University of Pittsburgh (1990 - 1991) and at the University of Michigan (1991). Renato Zenobi returned to Switzerland in 1992 as a Werner Fellow at the EPFL, Lausanne, where he established his own research group. He became assistant professor at the ETH in 1995, was promoted to associate professor in 1997, and to full professor in 2000. He was chairman of the Organic Chemistry Laboratory in 2002-2003 and 2011-2012, served as the president of ETH’s university assembly (Hochschulversammlung, HV) from 2006 – 2008, and of the lecturer’s conference (Konferenz des Lehrkörpers, KdL) at ETH Zurich 2006 - 2010. Zenobi was a visiting professor at the Barnett Institute (Boston) in 2004/2005, and at the Institut Curie (Paris) in 2010. In 2010 he was appointed Associate Editor of Analytical Chemistry (American Chemical Society). He has chaired the 2014 International Mass Spectrometry Conference in Geneva, Switzerland. Zenobi’s research areas include laser-based analytical chemistry, electrospray and laser-assisted mass spectrometry, ambient mass spectrometry, and near-field optical microscopy and spectroscopy. He has made important contributions to the understanding of the ion formation mechanism in matrix-assisted laser desorption/ionization (MALDI) mass spectrometry, and to ambient ionization methods. He is well known for the development of analytical tools for the nanoscale, in particular TERS (tip-enhanced Raman spectroscopy), a spectroscopic methodology with ≈ 10 nm spatial resolution. 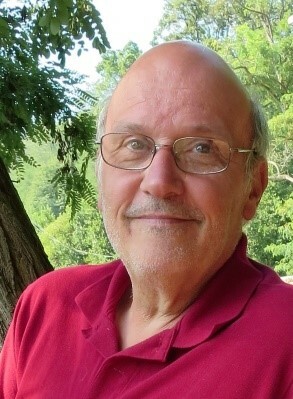 Renato Zenobi has received many awards for his scientific work, including the Thomas Hirschfeld Award (1989), an Andrew Mellon Fellowship (1990), the Ruzicka Prize (1993), the Heinrich Emanuel Merck-Prize (1998), the Redwood Lectureship from the Royal Society of Chemistry (2005), the Michael Widmer Award (2006), a honorary Professorship at East China Institute of Technology (2007), the Schulich Graduate Lectureship (2009), a honorary membership of the Israel Chemical Society (2009), honorary professorships at the Chinese Academy of Sciences (Changchun), at Hunan University, and at Changchun University of Chinese Medicine (2010), the Mayent-Rothschild Fellowship (Institut Curie, Paris; 2010), the Fresenius Lectureship from the German Chemical Society (2012), the Thomson Medal (International Mass Spectrometry Foundation, 2014), the 2014 RUSNANO prize, the 2015 Fresenius Award (German Chemical Society/GDCh), and an ERG Advanced grant (2017).